Country living in this spacious 3663 sq. ft. home. Large inviting front porch on this 4 Bedrooms, 4.5 Bath home that overlooks the 212 acre lake. Main floor has hardwood floors, beautifully updated kitchen with granite and walk in pantry, great room, dining room, breakfast area and den. Master Suite has French doors that open up to the deck. Master Bath has been updated with Granite, double sinks and separate shower/tub. 3 additional bedrooms and 2 Full baths upstairs. 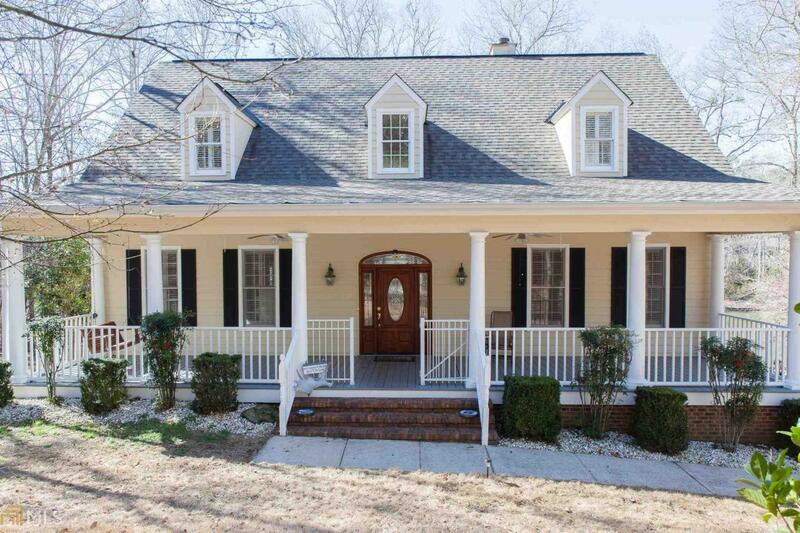 Listing provided courtesy of Bickerstaff Parham, Llc. © 2019 Georgia Multiple Listing Service, Inc. All rights reserved. Information Deemed Reliable But Not Guaranteed.